I recently made some tiny pots to try out some new cone 5 porcelain that I got from Marjon’s. It’s called Nara 5 from Aardvark. It throws well and fires to a nice white. These pots have clear glaze only and were fired to cone 6. After making the first couple of bottles and seeing how cute they were, I decided I’d make more and use them to create a banner for my etsy shop…which I hope to open soon! 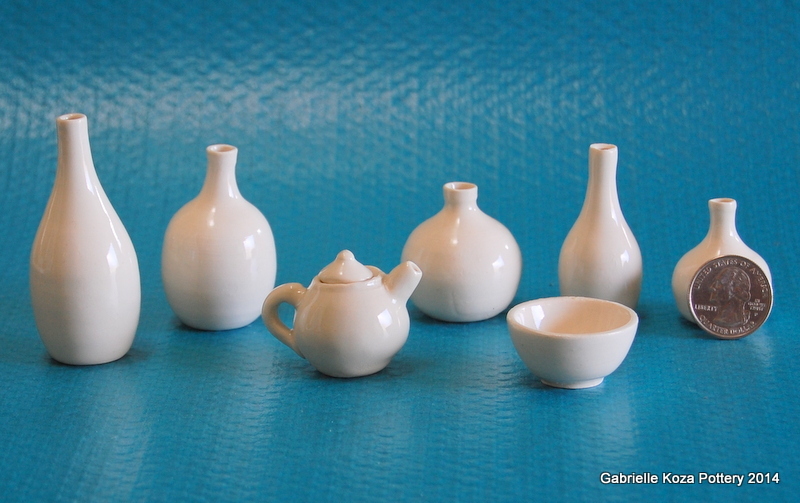 This entry was posted in Featured and tagged porcelain, tiny. Bookmark the permalink.